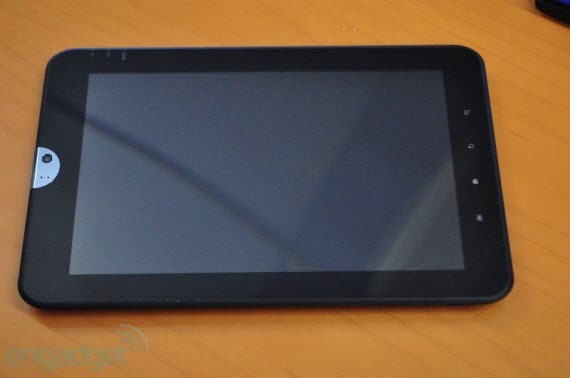 We already know that, more than 40 tablets are expected to launch this week at the CES 2011. 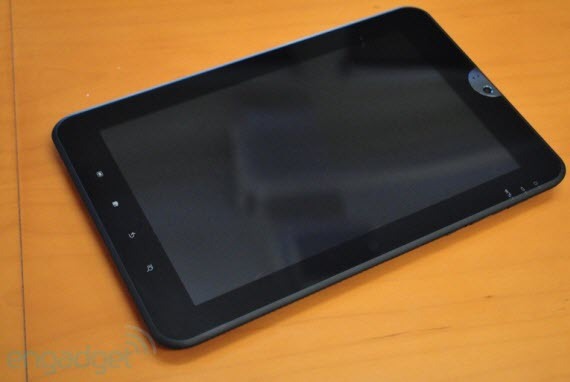 Most of the tablets, will be powered by the Android operating system. We are eagerly waiting for Motorola’s Android Honeycomb tablet, but the Toshiba’s upcoming tablet has currently caught our attention. This tablet is powered by the Android (Honeycomb) OS. Toshiba’s tablet is powered by the Nvidia’s Tegra 2 dual core processor, which have been recently seen in the powerful LG Optimus 2X. It features a 10.1 capacitive touchscreen display with 1280 x 800 pixels resolution. It has a 5 megapixel rear camera and a 2 megapixel front facing camera. 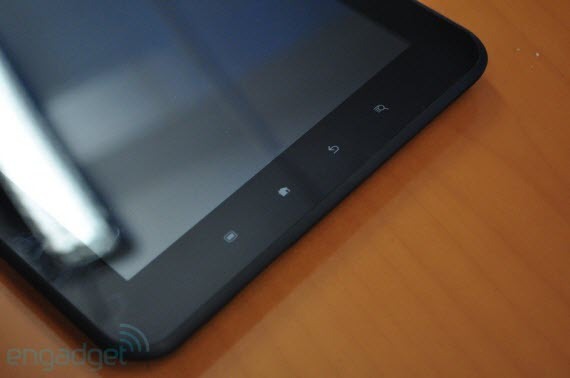 This device weighs just 1.7 pound and the back of this tablet is made from rubber. The Toshiba’s tablet also comes with a USB and HDMI jacks, mini-USB socket and a SD card slot. This device is just 0.6 inch thick and the swappable rear cover allows you to change its color as well as replace the battery. The price and availability of this device have not been announced yet. 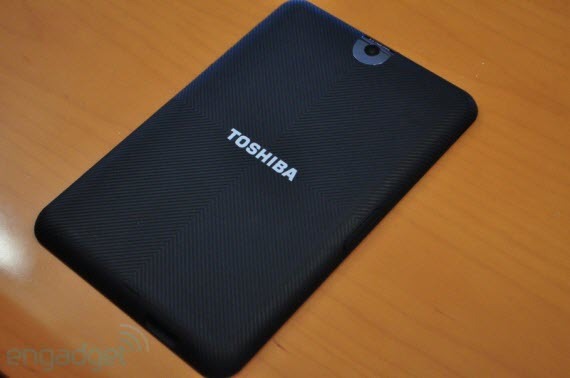 Toshiba’s tablet will be price competitively and it is expected to be released in the first half of 2011. 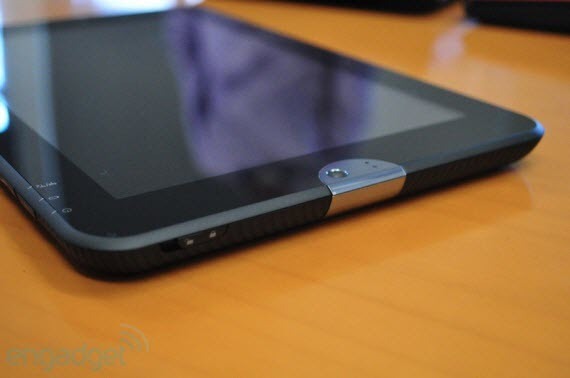 The folks at Engadget recently shared a few hands-on pics of this device. Check out the photos below. Looks really fantastic. Sleek & really stylish!